As of Feb 2013 we have a new website. Please feel free to read our blog archive to see where we have been, but please checkout our new website to see where we are going. Many of the Unity Gardens’ staff, leaders, volunteers, and Master Gardeners spent the weekend at the KAMII MLK Social Justice Conference in Chicago. What a great way to reflect on our mission and count our blessings through the eyes of others! From planning a garden for a homeless shelter to use to help their neighborhood have access to healthy food, to listening to the many classes on urban farming, the entire conference was one delight after another. It was both educational and reinforcing. We learned so much from others, but also saw how much we had to offer! Academic discussions on what it meant to give and to receive, discussions on empowerment, social inequity, and dignity all helped reinforce the Unity Gardens model. By day 2, when I was scheduled to speak about our framework and journey, I was eager to share! Seeing Unity Gardens through the eyes of others helped me appreciate how far our community has come and what wonderful opportunities for “growth” we still have. The Unity Gardens enthralled those who heard the story. I could visibly see hope grow in the eyes of those listening. In a full room, the questions started flying: How do we make sure there is enough food, what about funding, and more. Each group of questions led to more discussion as people there, just like in our community struggled with the concepts of free food and social inequity. People who did not believe they could have an urban garden without fences took pause and inquired further. Social justice leaders from across the country asked if we had grown throughout the United States, and others asked for our information so they could learn more. One of the most common threads of inquiry, second to the overall framework was about funding. How did Unity Gardens survive fiscally? This line of questioning is why I am sharing. 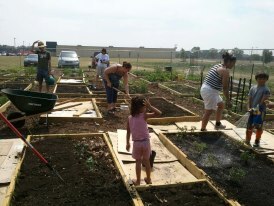 Unity Gardens survives because this community, our community, believes we are sprouting something special. We are growing a new way of living together and caring for one another. While pursuing a grant, I was asked, “How does Unity Gardens hope to move beyond grant dependence?” I replied that I could only wish to write so well as to be mostly grant supported! Unity Gardens major source of revenue and in kind donations come from hundreds and thousands of people giving what they can. Every donation to Unity Gardens; $25.00, the purchase of a T-shirt, or the donation of a garden tool, weeding, even attending a fund raiser, EVERY donation, is what keeps us growing. 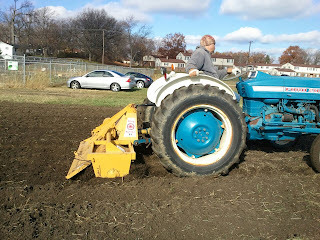 I am so grateful for those who come and help us garden, the volunteers who help teach our classes, the interns who take on projects or even the other non-profits who share their expertise. Every single person in our community makes the difference! Through the eyes of Chicago I was able to see what a truly remarkable project we have grown. Our community may have more community gardens than any other in the nation. We do this by growing each other. Please reflect on what you value and take the time to offer part of yourself to make our world better. 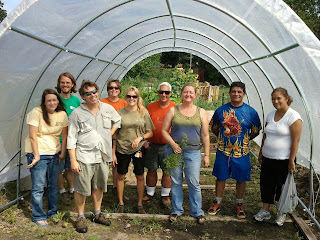 I would be honored if you choose to give back through Unity Gardens. Thank you! I hope we can count on your support! I love what I do for a living. I mean really I get to play in the dirt, meet all sorts of people, and do a little good in the community. So I sometimes use this as an excuse to work really hard most of the time 7 days a weeks, and sometimes I get caught up in pushing to get my projects finished and do not always take time to see all the good going on around me. PS If you decide to write back , put it in the same place I put this note. We're prayin' for you ( heart ) Keep Hope"
I feel lucky to have come across this note. I am not sure if it went any further then this first contact, but I suspect it did. I did see a leat 3 good pens on one of the growing tables. It reminds me that it does take courage to be without a home, and all of us that are sitting here reading this in a safe, and warm place should be thankful. I am also touched by the caring of someone for a person they do not even know. It also strikes me that in this fast paced time of cell phones and internet that there still is " the hand written letter"
I think I will hang this is a place for everyone to see so that we can all be reminded of how important respect for others, kindness, and human interaction is. Everytime I see a homeless person or someone in need of a hand I will think of the courage they have to survive against all odds. And as a footnote on my way home I made a stop as a coffee shop as I do many times to get my computor work finished, and the man in line in front of me bought my coffee and said " have a Happy New Year"
Through the kindness of strangers hope springs eteranal . What an interesting year it has been at Unity Gardens! One of my favorite times of year is at the cusp of the New Year; a time to reflect on the successes of 2012 and a time to mobilize for all the new plans for 2013. Unity Gardens is known for growth. Growing vegetables, growing increased community cohesion, growing opportunities for everyone to be engaged in their community, and boy do we have the plans coming! It is clear we are indebted to the community for the support we have received! There are so many ways people have helped us grow: monetary donations, in-kind gifts, publicity, and participation. We are so grateful for all the ways people involve themselves in Unity! In turn, it is clear we have a huge responsibility to continue our programs and mission. Through hard work, focused attention, and faith, we will continue to serve as the community guides us. 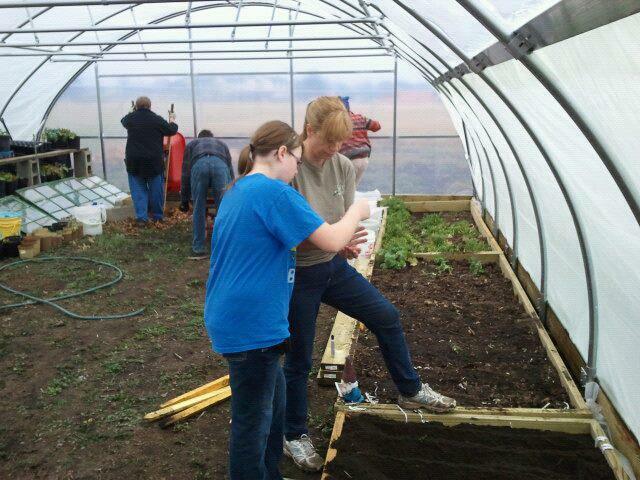 Our greatest emphasis for 2012 was our Outdoor Classroom/ Growing Health Program made possible with the support of the Community Foundation of Saint Joseph County, Memorial Hospital and many others. This ambitious program created the infrastructure at LaSalle Square Unity Garden to begin on-site education. Our expectations were high, but the reality was even better! The educational area hosted 18 different families, representing 5 countries! The summer kids club held every Saturday hosted 15 to 20 kids enjoying garden play, scheduled activities, and tasty garden treats! The outcomes from this project were unforeseen; growing a new community of people working together! Our families and kids shared their food on the sharing shelf, with passer-byes, and with each other! The program also launched our new model for neighborhood revitalization! 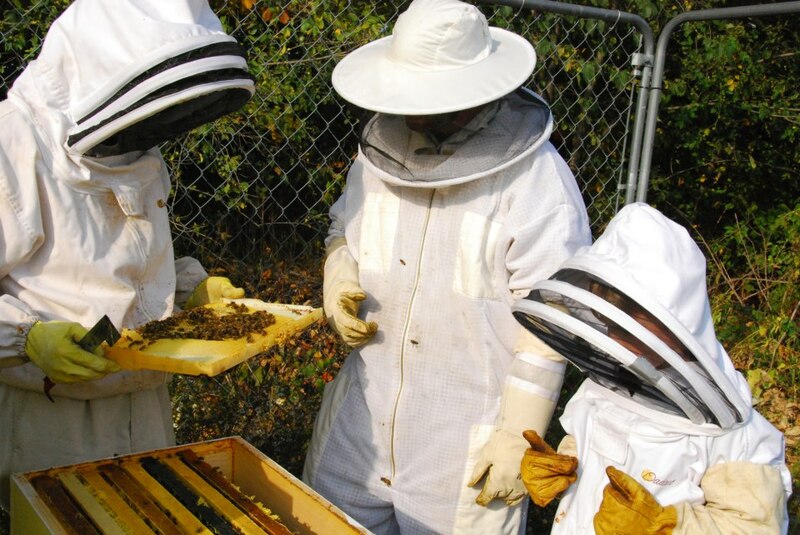 Additionally, due to the generosity of Peace Bees, we added bee hives to 2 of our Unity Gardens and now sell local honey! 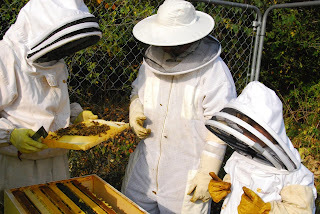 Our bee keeping was so popular, we are adding an in-depth program to grow bee-keepers in 2013. 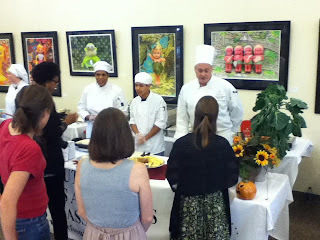 In 2013 our focus is all about enhancing our educational programs. Our Growing classes, starting in January will have added content and a new venue on Thursdays (The Potawatomi Conservatories), our Junior Master Gardeners classes will focus on vegetable gardening, and our specialty classes add bee keeping and back yard chickens! The Unity Gardens 2013 Greenhouse project, made possible by the Community Foundation of St. Joseph County, includes adding on-site growing houses/ green house, season extending raised beds, composting stations, aquaponics demonstration systems, and solar energy in order to increase our sustainability. True to Unity Gardens style, we already see our first sprouts in the growing house! The community looks toward Unity Gardens for growing community, a task we are prepared to do through our new, Neighborhood Enhancement Project. Look at our new website www.theunitygardens.org for more details regarding this exciting new hybrid Unity Gardens model designed to bring neighbors together to work toward their own neighborhood solutions. We are truly growing more than vegetables here!! On the drive home from the Taste of Unity I reflect on the evening and think how great it is to have such awesome community support. My thoughts drift to how a successful fundraiser brings us closer to our goals in the garden, but then I start to think about the bigger picture. 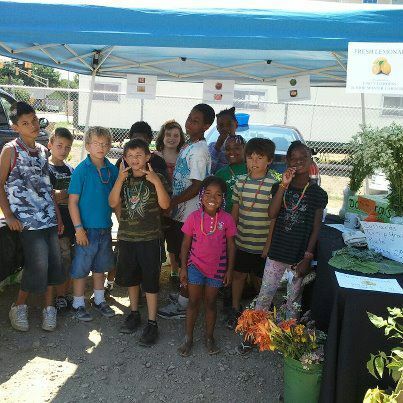 Our mission statement of not just providing healthy food, but also about education, and growing community. I think what makes a successful event is that can raise money while achieving our core mission then its a win for everyone. My conclusion is that yes we did achieve both goals. The theme of the evening as I spoke with many of the guest was how it was so fun meeting new people, and maybe even sitting a a table full of people they did not know. 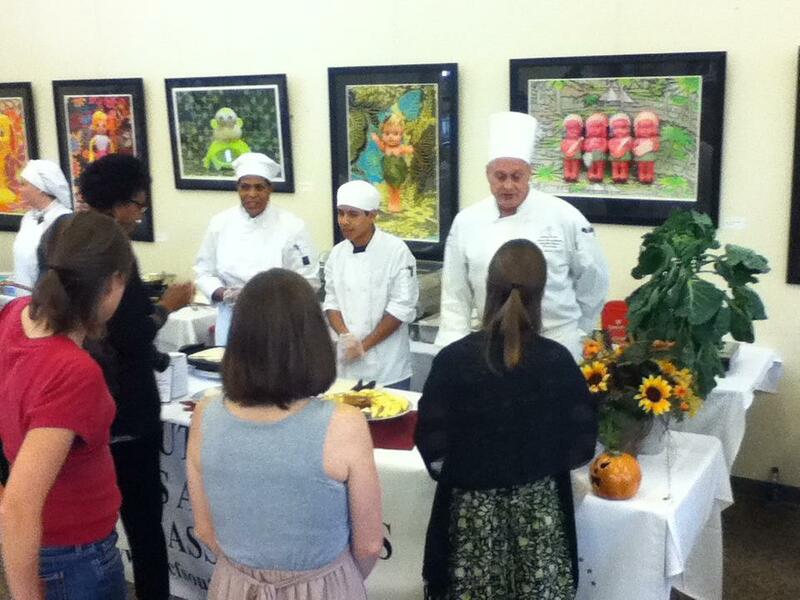 Education yes of course the Ivy Tech Students learning from all the other chefs. Everyone learning more about Unity Gardens, local food and more. What a great night we could not be any prouder of our community over 400 people made it out to enjoy a great evening.